Located at Shodoshima Island, Nakayama Senmaida is one of the 100 most beautiful terraced rice field in Japan. 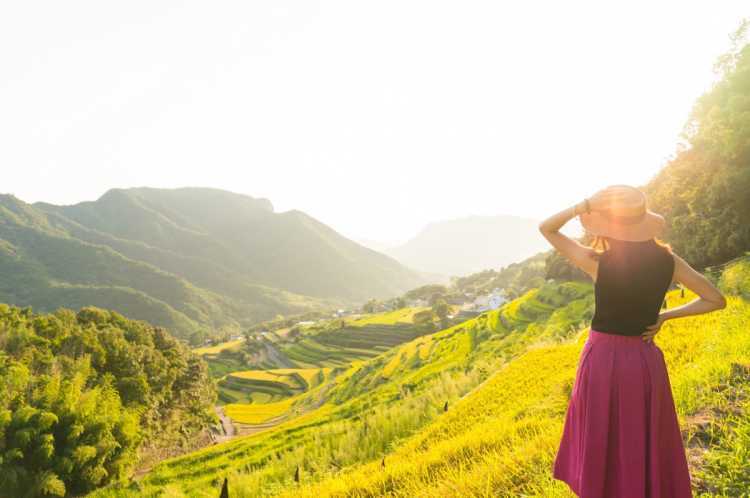 Surrounded by the mountains in the island, the green and gold rice fields spreads like stairs, and it's a comfort scenery of old time in Japan. I thought it beautiful for the first time in my life. The best season is between May and September.◎From the rear of the crowded dinner 'Komame Shokudo', go up by car along the street, then you can find here. A popular photo spot is toward the path of 'no vehicles' to go to the 'Water Spot'. 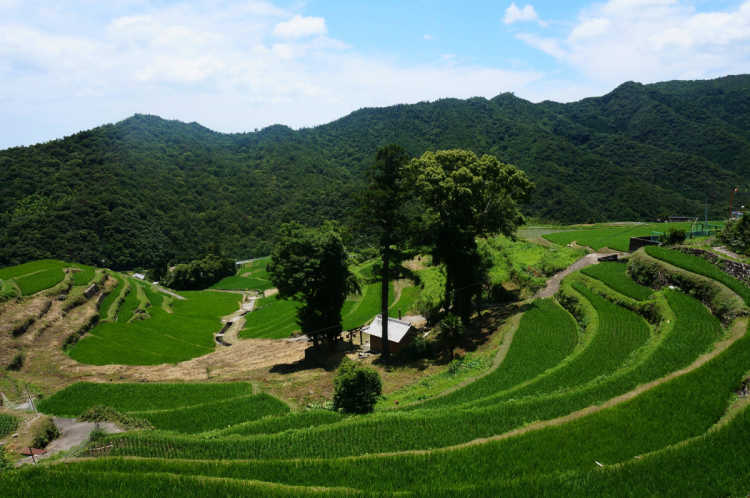 There is the only one such a beautiful landscape of rice terrace in Kagawa that is selected as the best 100 in Japan. As you see, the contrast between blue and green is nice. I think it symbolizes peaceful Shodoshima Island. As the roads to the photo spots are narrow, going on foot is better than by a car.